Alba Botanica prides themselves in using all vegan/clean products and below are some of the the values they mention makes up their brand. 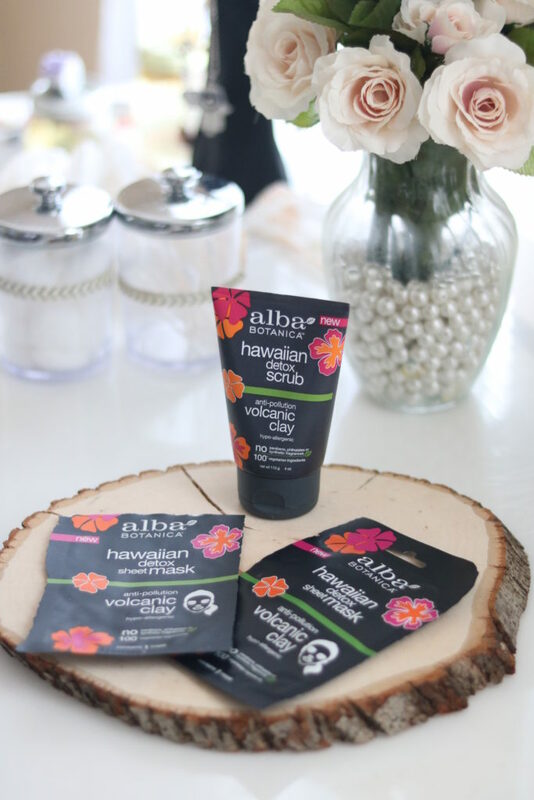 Today I’m going to share with you why The Hawaiian Detox line has been my holy grail! But first, a quick rundown of what’s in the detox line. To start, my skin type is dry and sensitive and since I’m over 30, I’d say mature too given that I’m also trying to prevent wrinkles. Sometimes I deal with some redness around my nose area, especially if my sinus allergies are acting up and deal with some occasional breakouts, primarily before my period. I wear makeup often for work so I make sure to cleanse my face very well each night. I also stick to my weekly regimens of deep cleansing and moisturizing masks to keep my skin healthy. My skin particularly likes clay masks due to its deep cleansing properties. 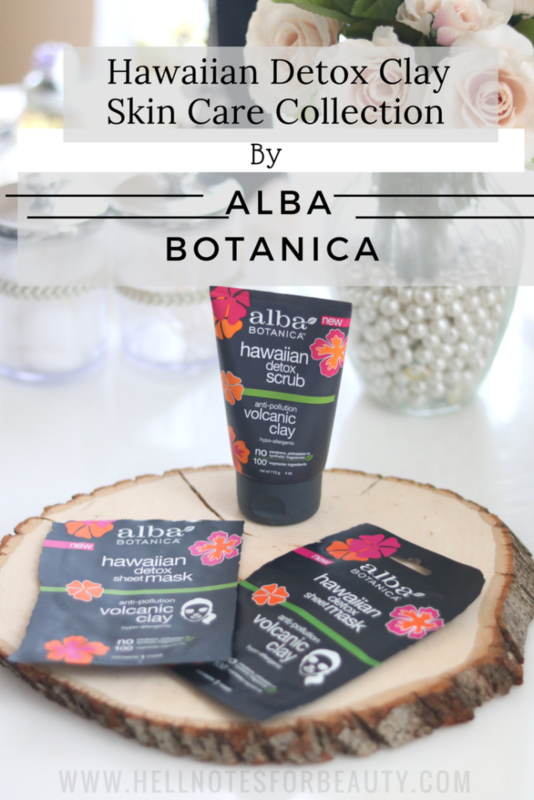 So when I saw Alba Botanica’s Hawaiian Detox Sheet Masks, I had to try one. I was confused when I first opened the package. I totally did not read that it says “sheet mask”, I guess the clay part threw me off. Either way, I followed the instructions and tried it. I was not too fond of it at first because it’s not a mask you rinse off. It actually has a serum that you leave on your face overnight. That was new for me as I typically don’t like those types of mask, but this one sold me over! My weekly treatment routine consists of steaming, facial scrub and a soothing moisture mask. With this charcoal sheet mask, I let the serum soak in for 20 minutes and went to bed. The next morning my skin was clear, supple and had a healthy glow. Before then my skin looked very dull and needed a little boost and this mask totally delivered! Those that follow me on Instagram must be a little sick of me showing this mask because that’s how much I love it and always share it in my stories when I use it. I thought the sheet masks were the only products from the detox line and was so excited when I realized they also have a cleanser and wait for it, a scrub too! I haven’t purchased the cleanser yet, (I’m going to though! ), but that scrub is AMAZING! I love facial scrubs because they truly change the texture of my skin and cleanses my skin of any old dead skin which is what causes dull skin. It is not too abrasive for my sensitive skin and leaves my skin super soft, fresh and clean. Being that this is a charcoal based product, as you know, charcoal soaks everything up, including moisture. So I was a little concerned it would dry me out too much, but luckily it has not. I make sure to always follow up with a good moisturizer. Definitely going to need the cleanser for those heavy makeup wearing days and I always make sure to pick up at least 3 to 4 of the sheet masks to keep in my stash. 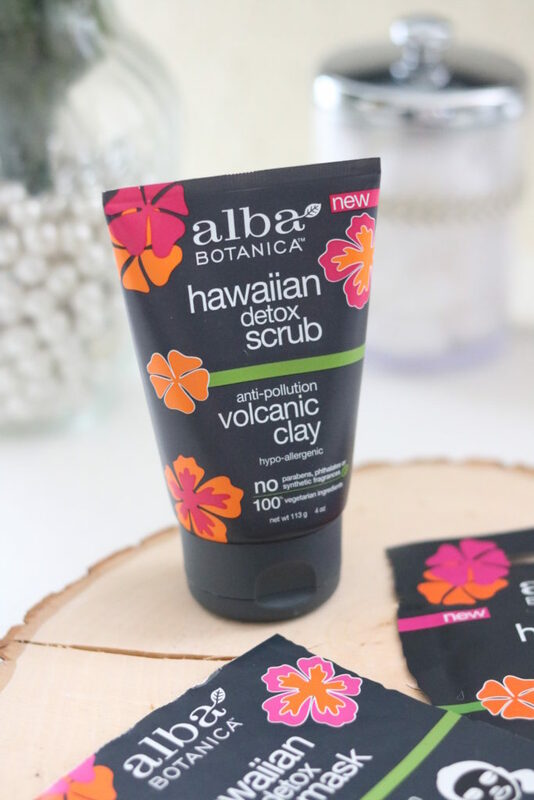 If you’re looking for a good skincare line that is affordable and accessible, I highly recommend Alba Botanica’s Detox skincare line. If it works for my dry and sensitive skin, I’m sure it will do wonders for all skin types like oily and acne prone skin types too. 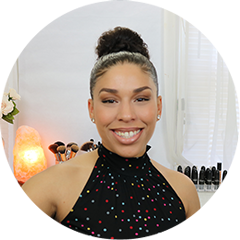 Check out our YouTube channel where I share my thoughts in my October Favorites!